Immune response. 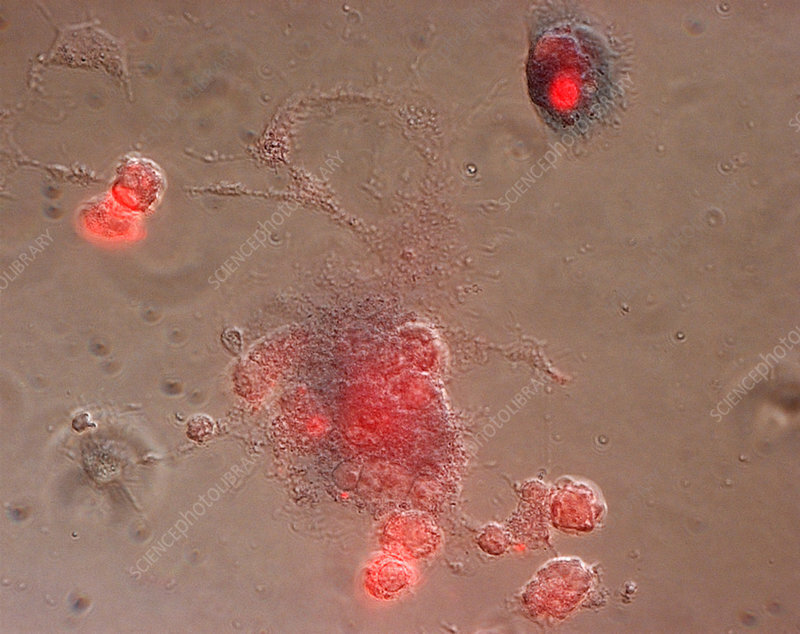 Fluorescent light micrograph of T lymphocytes (red) surrounding glial cells. Glial cells are support cells for neurons (nerve cells). T lymphocytes are a type of white blood cell and one of the components of the body's immune system. They recognise a specific site (antigen) on the surface of damaged cells or pathogens and bind to it. Some T lymphocytes then signal for other immune system cells to eliminate the cell. Cytotoxic T lymphocytes eliminate the cell themselves by releasing a protein that forms pores in the cell's membrane.